Born on January 7, 1868, Samuel Asbury Conner was raised on a farm in the Brainerd area of Hamilton County, Tennessee. The son of Captain Asbury B. Conner a veteran of the Confederate Army, Samuel Conner attended county schools and worked with Loomis and Hatt Lumber Company as a young man. He later became a real estate developer and builder. In 1893, Connor married Dora Shields of Chattanooga and became the father of their three children. 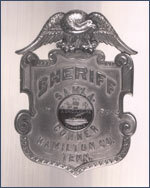 In 1908, Conner was nominated as the Republican candidate in the race for county sheriff. Twice re-elected as sheriff, Conner became one of only a few men in the county to serve the office for three terms. He was also the first sheriff to appoint a female, Special Officer Mrs. J.J. Bork, on May 14, 1909. 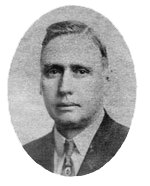 Conner organized the Chattanooga Interstate Fair Association in 1915. He was elected county judge in 1918 and served an eight-year term. Continuing in his political activities, Conner died quite suddenly while campaigning for the office of tax collector. He was making a speech on the evening of July 27, 1932, when he suffered a stroke.